Soup is my comfort food. Anytime I'm sick, sad, cold or hungover, I reach for a bowl of warm, brothy goodness. 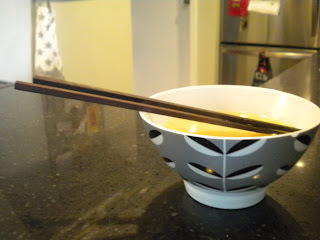 One of my favourites is miso soup, especially if I've got a craving for something salty. Since it usually only costs about a buck in Japanese restaurants, I figured it must be cheap and easy to make and decided to give it a try. I've been making it in big batches ever since. So cheap, so easy, so GOOD. note: these amounts are just suggestions. Some people prefer a stronger, saltier broth (more miso) and some prefer it more watery. You can also add in seafood or other veggies (carrots, broccoli, etc.) Make yours to taste! 1. Bring water to boil. 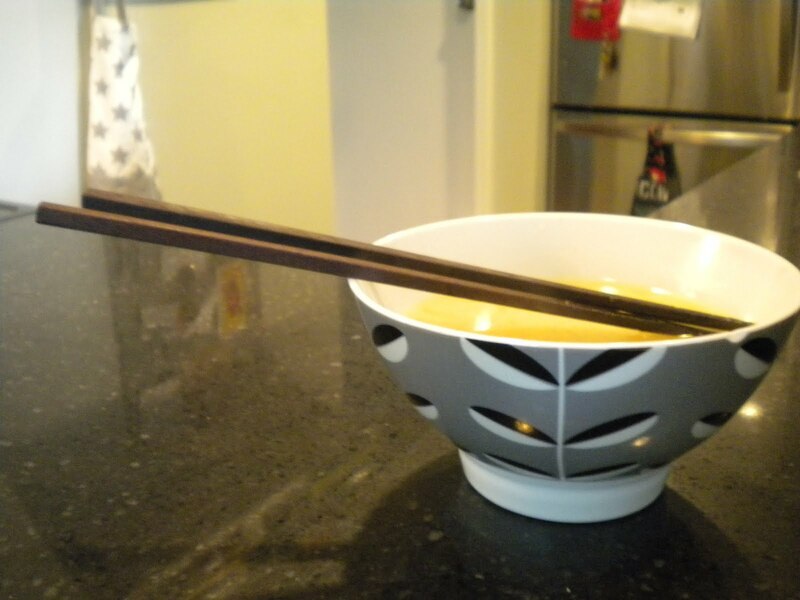 Dissolve miso paste in a little bit of water, whisk miso into boiling water. 4. Serve piping hot and enjoy! This has become one of my favourite after-work snacks - a small bowl is enough to curb the appetite until dinner. I've even brought it to work to eat for breakfast when I'm running late. It's a surprisingly awesome way to start the day (and a pretty good way to cure a Sunday-morning hangover).